The Celts were known in ancient times to have been ferocious warriors. According to certain written sources, some of these Celtic warriors went a step further by going into battle carrying only their weapons and shields. Apart from texts by ancient writers, the image of such a Celtic warrior is also captured in a famous sculpture known as the ‘Dying Gaul’. The Celts were a people who lived in Europe during the Iron and Medieval Ages. Whilst they are not a distinct racial or genetic group, the Celts spoke Celtic languages, and shared certain cultural similarities. 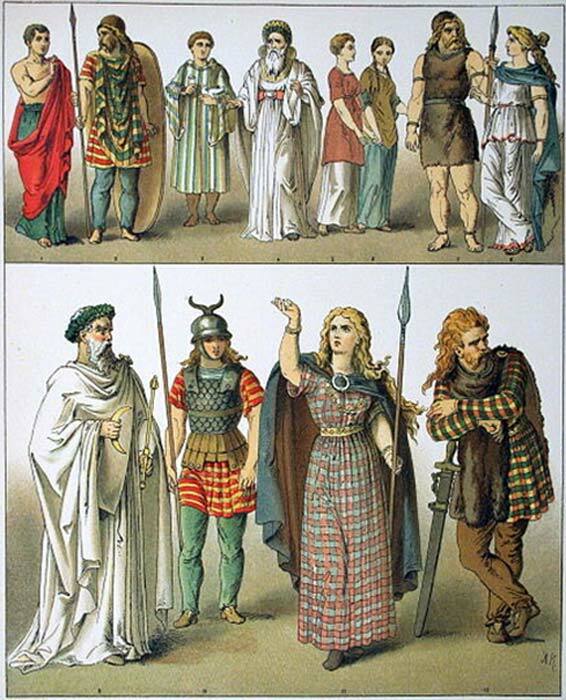 There were a variety of tribes referred to as ’Celtic’ that inhabited Europe during the Iron Age. The name ‘Gaul’, for example, was given by the Romans to the Celtic tribes inhabiting the areas that are today the central, northern and eastern parts of France. Towards the end of the 3rd century BC, an attempt was made by a coalition of Celtic tribes from Cisalpine Gaul (the part of northern Italy inhabited by the Gauls) to attack the Roman Republic. This coalition included the Insubres, the Boii and the Taurisci. One of the decisive battles during this war was the Battle of Telamon, which was fought in 225 BC. From Polybius’ account of this battle, we hear about a ‘tribe’ of Celtic warriors known as the Gaesatae, whom the ancient author describes as having the habit of fighting naked. The Gaesatae are not exactly a tribe, as they seem to have appeared in history out of the blue, and their existence is not attested prior to the Roman-Celtic Wars. Polybius wrote that the Gaesatae were “Gauls dwelling among the Alps and near the Rhone”. The ancient historian goes on to state that the name Gaesatae actually means “serve for hire”. In other words, these Celtic warriors were mercenaries. The Gaesatae were so eager to join this endeavour that “on no occasion has that district of Gaul sent out so large a force or one composed of men so distinguished or so warlike”. Some chapters later, Polybius writes about the clothing that the Celtic warriors wore to battle. 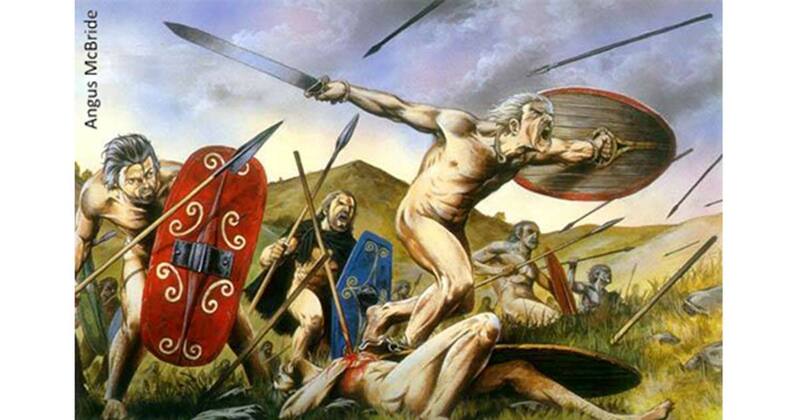 Whilst the other Celts wore trousers and light cloaks, the Gaesatae preferred to fight naked. The fact that some Celtic warriors fought naked was also pointed out by Diodorus Siculus, though this author does not name the tribe(s) whose warriors fought in such a manner.